Fire Boxes. 1979. Acrylic and pigments on plywood and plaster. 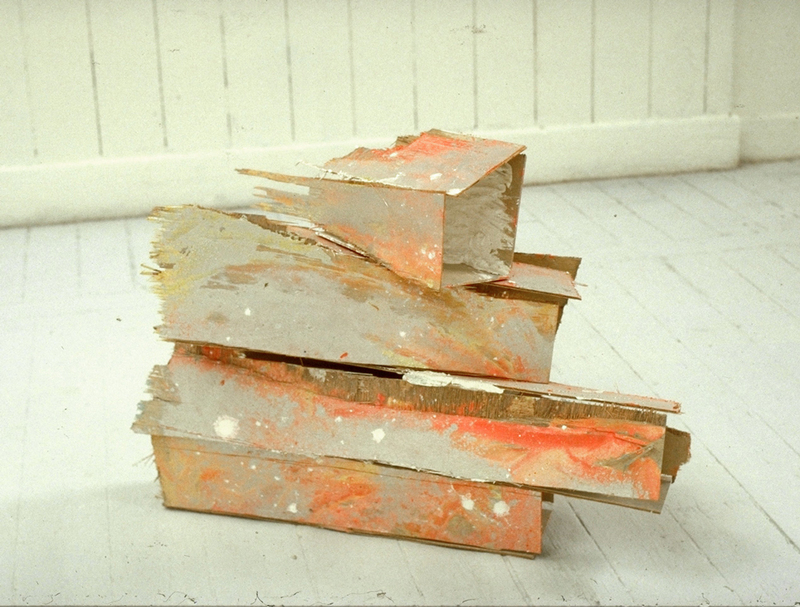 A sheet of plywood is painted and then broken roughly into pieces. These are reconsructed into boxes which are then placed in a stack. Functionality tested by artifice.